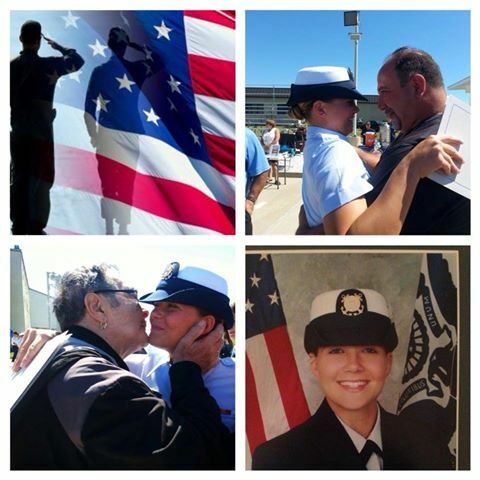 U S Coast Guard Training Center Academy graduate Gina Miele at her graduation this past Friday Cape May NJ is embraced by her dad Darryl Miele and a very touching moment and surprise visit by her Grandpa Ben Miele of Somerville despite of some serious medical issues, traveled with the family to New Jersey and surprised his granddaughter with a special appearance at her graduation. Gina Miele’s first station to report to will be in Galveston Texas. Gina is her grandfather’s third grandchild and he has one nephew that has all ready gone into the Coast Guard to serve our country.